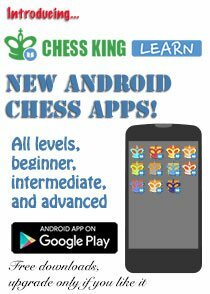 Cool chess video here! 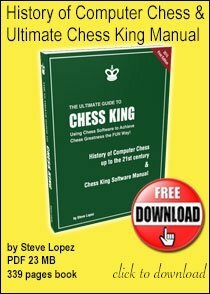 Have you been through all the super chess video library at YouTube channel ChessQueen? 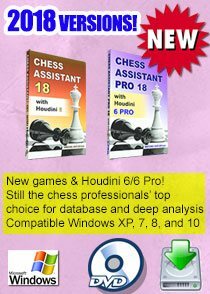 Here's an exciting one from the 2008 Women's Chess960 World Championship where Chess Queen™ Alexandra Kosteniuk successfully defended her world championship in Chess960 title against challengers Kateryna Lahno, Natalia Zhukova and Viktorija Cmilyte. 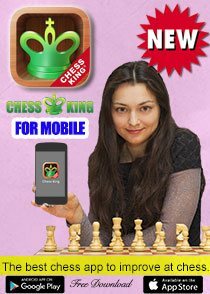 The chess video - very well commented by Chess Queen™ Alexandra Kosteniuk herself - is from the Chess960 event in Mainz, Germany. 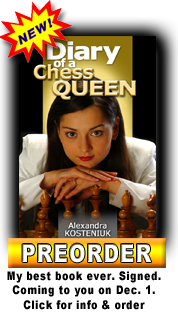 Yes, Chess Queen™ Alexandra Kosteniuk did become the 12th Women's World Chess Champion in 2008 as well! 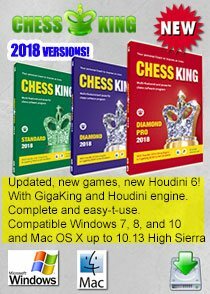 You can watch the 2008 crowning of GM Kosteniuk for the regular chess world title and also the chess video of 10 years before when she became the Girls U-14 World Rapid Chess Champion at the website link Chessqueen.com. 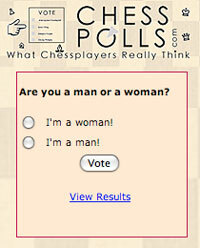 super neat - how many world chess titles does chess queen already have i can count four at least - amazing lady! bow to you.